When hunting for jewelry and engagement rings, buyers often ask the search engine genies a familiar question: “What is a Moissanite diamond?” If you’re trying to hit up Google, Yahoo or Bing for the details behind Moissanite, make sure not to confuse the stone for a diamond! Moissanite diamonds do not exist. While Moissanite and natural diamonds may look nearly identical, they are two very different gemstones. With a nearly flawless clarity and crystal clear color, Moissanite often causes buyers to do a double-take… especially when rings showcasing a Moissanite centerpiece are a fraction of the price of diamond engagement rings. As the stone offers an unmistakably low and extremely budget-conscious price-tag, a buyer’s concern about Moissanite often lies in the eternal question that plagues most cautious consumers: Is Moissanite too good to be true? While Moissanite is not a type of diamond, it’s also not a diamond imposter, like cubic zirconia, either. Moissanite is its own unique gemstone—and, like the diamond, it’s also very rare in nature. 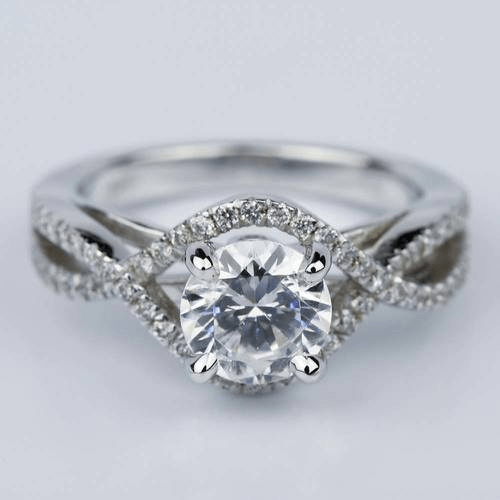 However, in recent years, Moissanite has taken center stage in jewelry as the substitute for the once dominant diamond. Moissanite offers consumers two important factors that many diamonds simply can’t match: low cost and ethical standards. 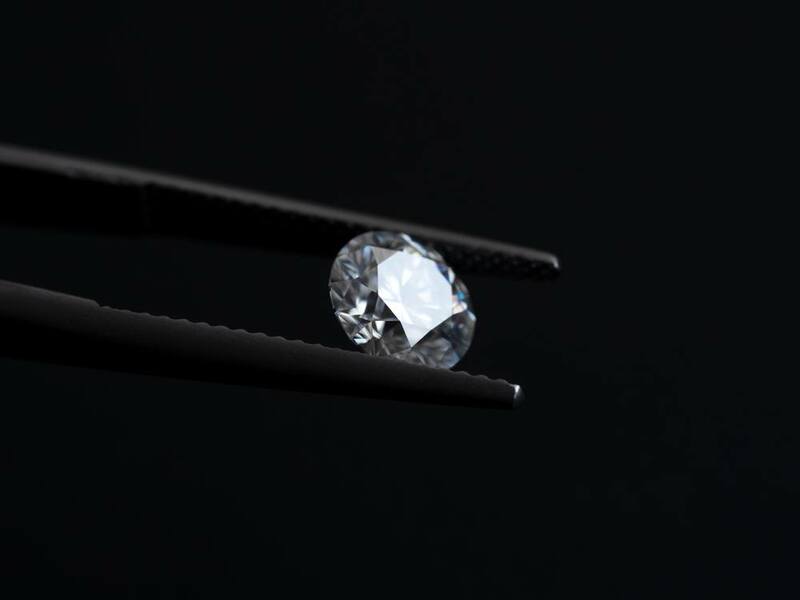 While most prominent players in the diamond industry—including Brilliance—adhere to the Kimberley Process to assure buyers that diamonds are conflict-free, not every diamond in the market was mined in accordance to these ethical standards. As the rules only began in 2000, diamonds that were purchased or mined before the new millennium are likely conflict diamonds. However, Moissanite has always been and will always remain conflict-free and ethically sourced. Moissanite (also known as silicon carbide) was discovered in a meteorite crater by Henri Moissan (for whom the gem was named) and the mineral’s composition was eventually recreated in a lab by Charles & Colvard. Today, Charles & Colvard are regarded as the premier creators of Moissanite, and the company’s labs—not mines!—are the source of these gems. For buyers interested in purchasing Moissanite , there are a few details about the stone that differ from diamonds. The 4Cs of diamond grading—cut, carat, clarity and color—don’t all apply to Moissanite. 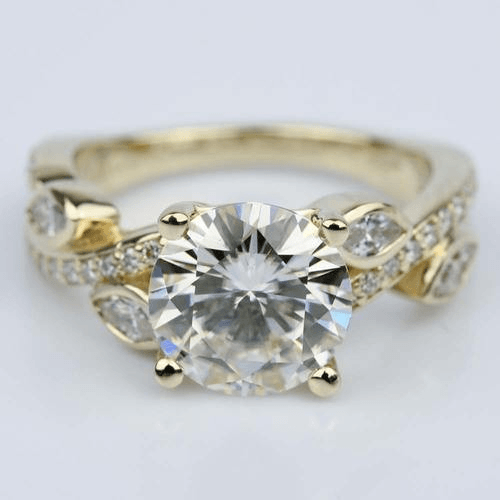 The gemstone typically features a flawless clarity and is nearly colorless; most Moissanite stones are in the D-F color grade, and give off a grey tinge instead of a yellow one (as with diamonds). This means that Moissanite shoppers don’t need to be concerned about prices skyrocketing because of grade changes for clarity and color. 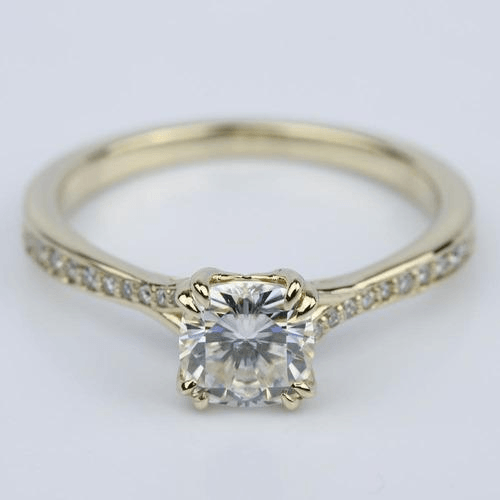 Since Moissanite is created and crafted in a lab, the cut is also typically ideal. Carat, however, will affect the price of a Moissanite stone… but not by nearly as much as it would a diamond. A one carat Moissanite solitaire ring costs around $1,000, with each carat increment increasing the cost by about $1,000. Like diamonds, Moissanite is also available in different shapes like pear, round brilliant, Asscher, emerald, marquise, oval and cushion. Obviously, the type of metal used in a jewelry setting may also affect the cost—like higher gold purity or platinum. Those who select Moissanite in lieu of a diamond also can be assured that the stone will be safe for daily wear. While no gemstone can replicate a diamond’s hardness, Moissanite comes incredibly close. Although a diamond is a 10 on the MOHs scale of hardness, Moissanite is a 9.25. The colorless clear beauty and sparkling fire of Moissanite allows the stone to be the ideal substitute for buyers who want the look of diamonds without the ethical dilemma or higher cost. Moissanite isn’t a diamond duplicate, rather a completely unique and fiery stone that offers the same stunning statement of a diamond at a fraction of the price! When selected as the centerpiece for a piece of jewelry (especially an engagement ring! ), Moissanite combines flawless perfection with economical Brilliance!